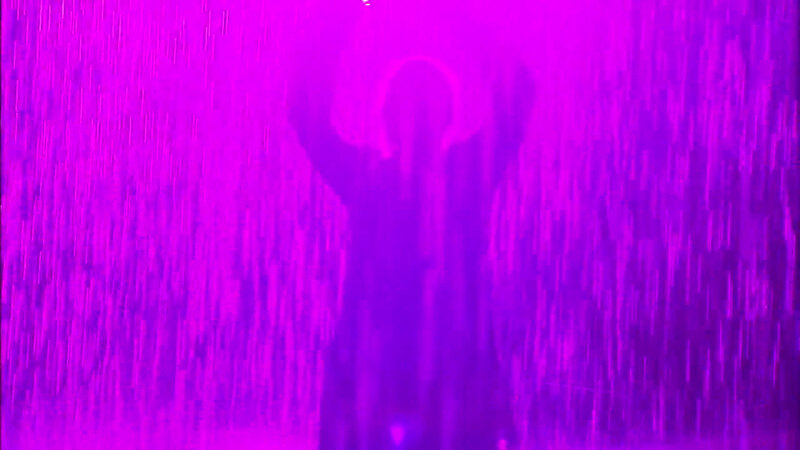 LOS ANGELES (KABC) -- An installation at the Los Angeles County Museum of Art has been temporarily transformed into the "Purple Rain Room" in honor of the late music icon Prince. The Rain Room exhibit at LACMA, which opened in October, features hundreds of gallons of water pouring from the ceiling as visitors stroll through, staying dry thanks to sensors that alter the flow as they walk. Random International, the London-based studio that created the exhibit, set up purple lighting in honor of Prince's film and soundtrack "Purple Rain." The exhibit uses 528 gallons of water, which are recycled and filtered with little evaporation. The purple lighting was installed for Friday only. LACMA says tickets to the Rain Room have to be purchased in advance and they are sold out through July 12.